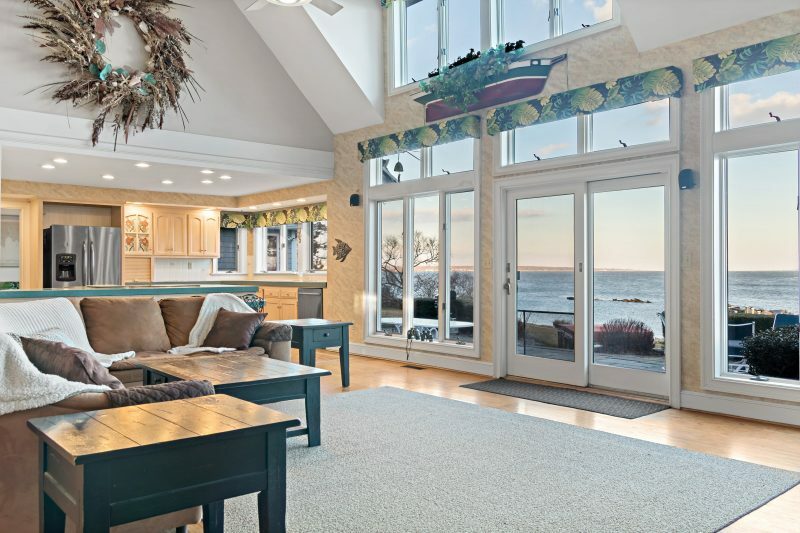 This home in East Lyme, Connecticut enjoys a remarkably rare view, sought-after by many, but only a few have unobstructed waterfront sight lines this crisp — from their own shoreline utopia. Sand, sea birds, schools of fish, ferries and boats could be your picture of daily life. Perhaps one of the largest white sandy beaches at your doorstep. Equipped with a large dock and a mooring for a boat up to 35′. 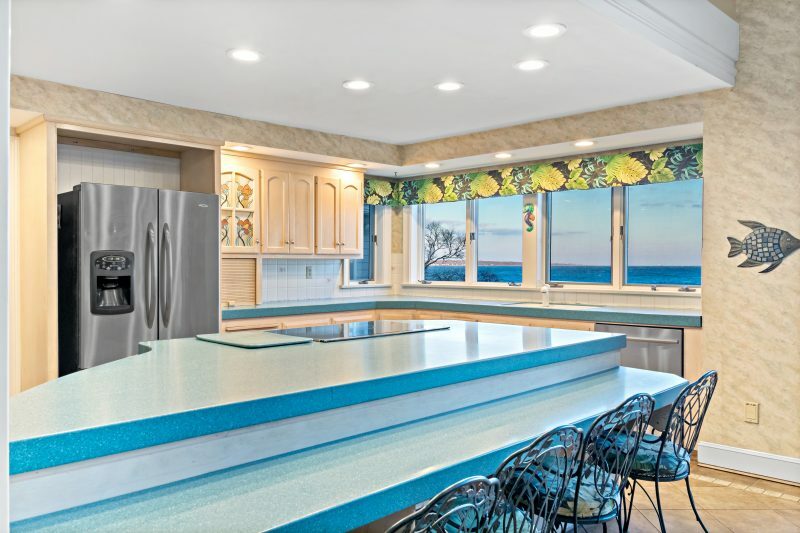 There is room for plenty in this spacious home. Come and enjoy iconic quaint classic Old Black Point. 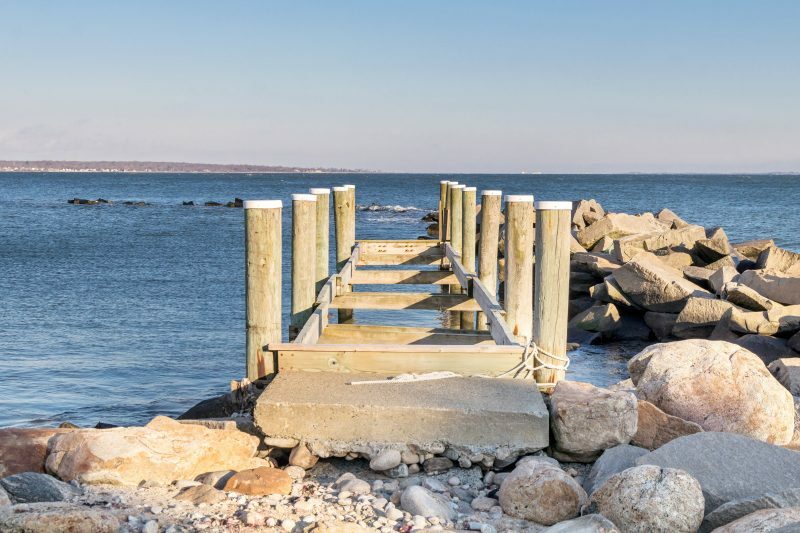 Niantic welcomes you with picturesque settings around every turn, and lively events to entertain during all four seasons. It has a nostalgic unhurried small-town atmosphere, where it seems time has stood still. A charming main street with shopping, restaurants and an old fashion ice cream parlor. 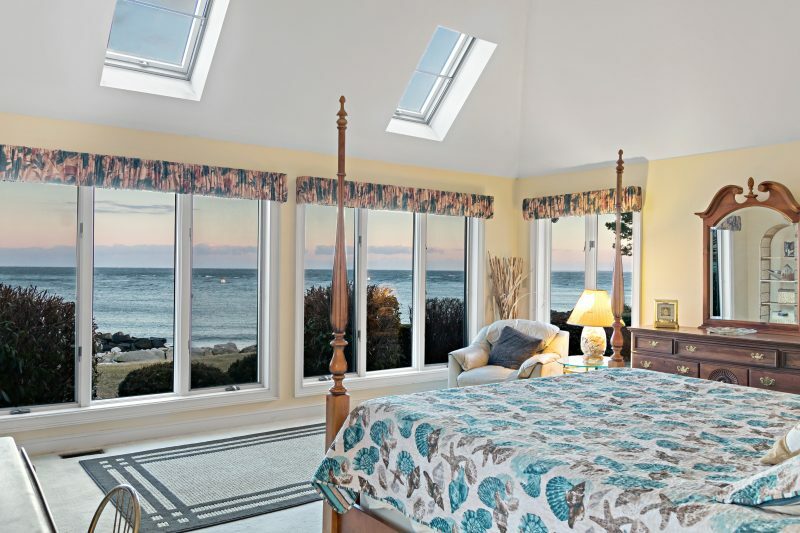 This five-bedroom home offers tranquil views to wake up to. 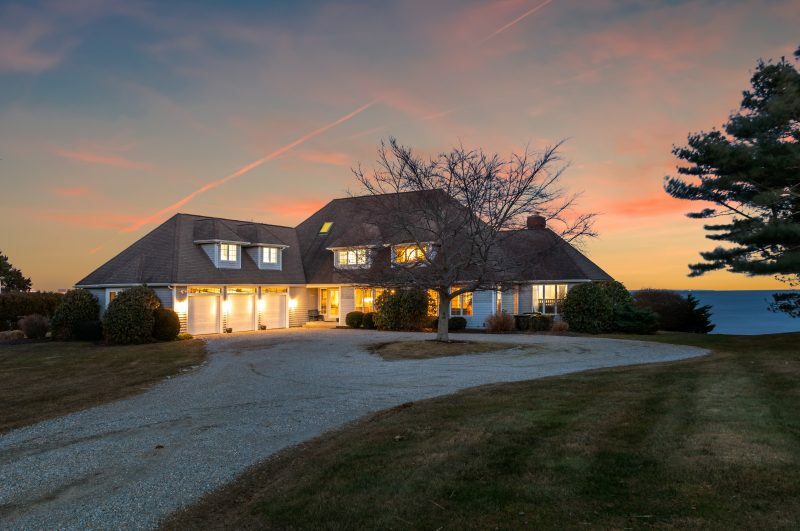 The 2.6+ acre waterfront estate is listed for $2.25 million with William Raveis Real Estate, Mortgage, and Insurance, an affiliate of Luxury Portfolio International®.